FACT: Nearly 50% of all vehicle accidents involve some sort of rear-end collision, and the Blinking Smart Stop Rear-End Visual Alert System offers a low cost way for each and every one of our users to help protect themselves and their family. 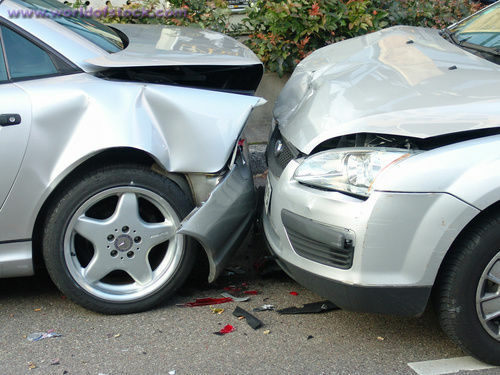 The National Highway Traffic Safety Administration (NHTSA) reports that rear impact collisions result in more injuries and property damage than any other type of automobile accident. Whiplash (neck & back injuries) and Traumatic Brain Injury (memory loss) are the most common types of injuries resulting from rear-end collisions. Personal injury is THE MOST IMPORTANT reason why you should do everything possible to avoid being involved in a rear-end collision.. The Law Says: A vehicle must be far enough behind the vehicle it is following to be able to stop safely, even in an emergency. (Motor Vehicle Act, Section 162) and we all believe this! That's why there are over 2 million rear end collisions every year. Give yourself a chance, avoid being a victim. In our busy world it is easy to overlook the importance of safety with ourselves and our vehicles. Imagine how you would feel should a preventable accident happen to you or your family. KAHTEC Be Seen Be Safe products are inexpensive and easy to install so why not order today. They will give you the piece of mind, knowing that you have done everything possible to minimize the risk of accidents. The technology used in our products has been developed in response to the market's increased demand for new products designed with safety in mind. We have developed a team of technical and administrative personnel with talented skills and rich experiences. Focusing on high quality and good credit, our Company has developed rapidly and steadily, and the quality of our safety auto accessory products that meet the international standards.